Zero Pwnage: Do we NEED next-gen consoles? Do we NEED next-gen consoles? This last week has been full of reports and rumors all conflicting with one another about whether or not we will be seeing the next generation of consoles at E3 this year. Only question is, do we really need the next generation of consoles already? Depending on how you look at the question, you could argue either way. What new features would we really want in a new console as gamers? Is the industry ready for the big impending change in the way that we not only play but also purchase games? There are more questions that arise the deeper you look into the topic. Every generation of consoles should bring something brand new to the table. Something we haven't seen before. Not just a few upgrades from the generation before it. N64 brought true 64bit gaming. Playstation brought disc based games with more space. Playstation 2 and Xbox brought online gaming and DVD's. 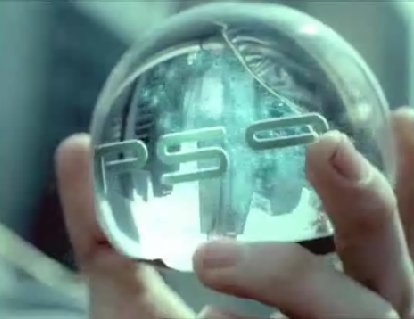 Playstation 3 and Xbox 360 brought HD graphics, DLC, and online web streaming. Nintendo Wii brought the first motion control scheme into play. (Kinect and Move... yeah yeah I hear ya but they weren't originally part of the system) What's the Wii U, NeXtBox and PS4 going to offer? Better graphics? Duh. Better online connectivity? Of course. The videogame console is rapidly becoming the multimedia center for the household, but WHAT will be the thing that separates the current generation from the next? 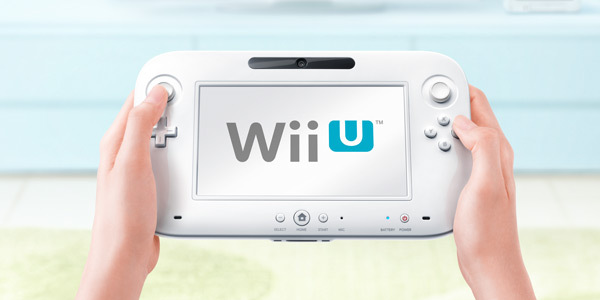 While Wii U has already shown us some interesting features, like the controller that will allow someone to play games using the screen on the controller so that they don't have to hog the TV from the whole family. Microsoft has been rumored to have their next gen Xbox to have the Kinect 2 be a part of the actual system as opposed to having a separate peripheral. Sony has been hush about their next gen plans and that Sony has stated that there will be NO PS4 at E3 we probably won't see anything from them until 2013. Updates in the Background - This is one of my biggest pet peeves with the current gen systems. ESPECIALLY on the PS3! Having to wait for an update to be able to play or use the system while downloading and installing a system should all be done in the background. I don't want to be kicked offline and wait for it. Have the system download and install it and then have the updates take affect the next time I start the system. 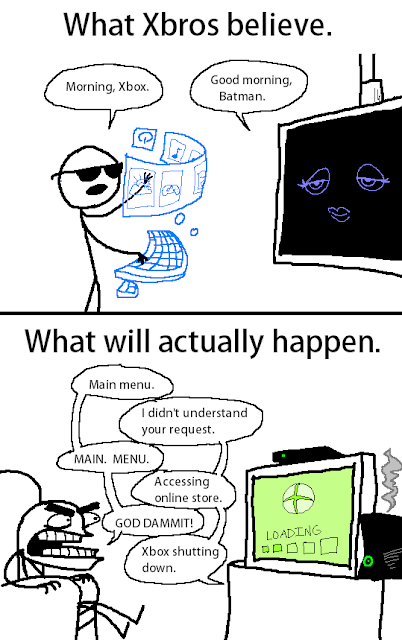 Backwards Compatibility - It's 2012. Can we not have full backwards compatibility? Not just games, but peripherals as well. Enough said. NO MORE MICROSOFT POINTS! - Microsoft listen, we just want to be able to purchase the exact amount for that DLC or XBLA game we want. I almost never have the exact amount of points for downloadable content and don't appreciate you having my money for something I may not even get to use all of. Reasonable Pricing for Peripherals - $50 - $60 for controllers?? $40+ for 60GB HardDrive? (yeah its cheaper now but remember how much they were when they came out?) Let me buy any external hard drive I want. Connect it via USB and let me download it on there. Some of this pricing is getting ridiculous. PS Vita is a good example with their outrageous pricing on their proprietary memory cards. Let us keep our Achievements - We spent a lot of time trying to earn these achievements and trophies. Although personally I am not a 100%'er on every game, I still would like some recognition for my work. Storage in the Cloud - I'd love to be able to save all my games, downloaded songs on music games, and any other information I choose to be saved on the Cloud and be able to have it all available to me when playing at a friends house. Use Motion Controls to Add to the Experience - Don't make it so that I have to stand up to play everything with Motion Controls on the Kinect. Let me use my controller and then maybe make a simple gesture with one hand then let me go back to playing with the controller. In my opinion we may not need to have the next generation quite yet but if game companies insist I hope that they don't just slap together some menial updates and then call it the new system and expect us all to pay $499 for it. Our poll this week is "Do you think we NEED the next gen of consoles?" Voice your opinion by voting and posting a comment below. Tell us if you believe it's time for the next generation of consoles. First of all, nobody can argue the Wii does not need an upgrade. the best it can do is 480p, which is unacceptable now that HDTV has taken over. And it is already public knowledge that it is getting a successor, so we don't need to debate it further anyway. But even on the 360 and the PS3, graphics have a lot of room for improvement. it's not just about the resolution, it's also about how much detail can be rendered, and how fast. Blu-ray movies are 1080p, but I don't see any games that look that realistic yet. And very few games are actually rendered at 1080p. This is obvious on the PS3, but less so on the 360, since it scales everything up to 1080p. Also, many current gen games suffer from frame-rate lag when the screen gets busy. Borderlands is a prime example, even if you didn't have hacked weapons, it is easily possible to lag it out. this can be frustrating in single player or co-op, but it is simply unacceptable in competitive play. All three consoles have a great deal of room for improvement with regard to the user experience. The Wii needs a better online experience period. the PS3 needs cross-game chat, which Sony flat out said could not be implemented in the PS3 because of memory limitations. The Xbox needs to let me have more than 100 friends, and I should be able to categorize them. Lastly, it has been said many times that consoles are now holding back PC gaming, which in turn means they are holding back gaming in general. I tend to agree with this one, though I do not think it is as big of a problem as some. but really, where are the new, innovative games? I'm not talking about motion control and 3D, I'm talking about new game engines, new types of games, and bigger scale and scope. why should I be limited to 8 or 16 players on an Xbox Live game? If games on the Xbox 360 are already requiring 3 DVDs many discs will games require in five more years? There is still a lot of room for improvement. and I don't think Microsoft will drop the Xbox 360 or the Live platform right away when a successor comes out. the 360 still has many years of support left, just like the PS2 has seen after the PS3 was released. The point the article was trying to make is that "improved graphics" is not reason enough for new console generations, which usually bring major changes. I'd say the biggest change between the previous generation and the current is that consoles are now fulfilling the role of media centers, with ubiquitous online content at a close second. Would you really take a hardware bump as a brand new, incompatible generation of consoles? I keep seeing people say that they don't want them. I'm ready and it's mostly for the new franchises that the next generation of games always brings. It's not like studios are going to stop making games for this generation when the consoles come out any way. Except those studios who have been bottlenecked with these consoles. Forza4. Battlefield3. Both have limitations because of the hardware and I know that when there is new blood they will not think of trying to make a compatible version for old hardware. And I do think that because many of the hits will be for the new generation it will also bring everyone els with them. The reason the ps2 and Xbox hung on at least for a little while is because next gen game graphics and physics were better but not extreme difference. Now that these consoles have 6 years there is many things PCs handle with ease that consoles take magic and time to get right. and considering the 360/ps3 still probably have another year, and new computer chips that are faster/more efficient are coming out within that year. That's just increasing the ceiling. With games like forza,battlefield, and Skyrim I am also not interested in a new console right now but for the NEXT iteration of these titles, I would. I'm going to wait at least a year and a half after launch to get a new console. I love my 360, I've gotten my money's worth many times over despite being on my third one. I'm going to wait for the pioneers to take the arrows on the next gen and suffer through whatever the future version of the RROD happens to be. That goes for Sony and Nintendo as well. As much as I like my Xbox, MS has made some iffy choices and a couple of downright stupid mistakes and careless oversights (IMO), thus I can't guarantee that I'll choose the new Xbox first (or at all for that matter) when the next gen gets here. I have a PS3 as well and I don't play it nearly as much as 360, but everything is wide open when it comes to a future console purchase. I'm not ruling out the Wii U either. I'm going to ride the bench for a bit and see what happens.